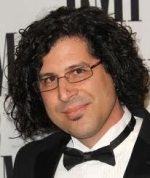 Doug Bossi is the award winning composer and driving force behind iSpy Music, which is a collective of incredible composers and artists from around the world. Doug´s musical journey has taken him all over the world as a renowned guitarist playing and recording with many incredible popular bands and artists such as David Coverdale, Glenn Hughes, Kelly King. Eventually his career took a more behind the scenes turn and he began to produce and compose for various projects. As one small production rolled into the next bigger one, he started to assemble a team of creative cohorts to bring musical diversity to the growing list of iSpy Music´s projects.